Grange month is over… now what? Your Grange had a great event that was well attended and garnered good coverage from the local media. How do you maintain momentum to keep your Grange in the public eye and on the tips of everyone’s tongues? Be proactive. Do something new that will catch the public’s attention and announce it. One of the best ways to leverage momentum is to build upon it. Success is based on promoting the small daily or weekly successes of your Grange, thus creating an ongoing engagement with your audience. When the public reads/hears about your Grange and its activities, events and projects consistently, you are building a reputation within your community. Follow-up is just as important as initial contact. Write thank you notes. Send an article/photo to the newspaper summarizing your successes. Send out a recap of your activities to your members. 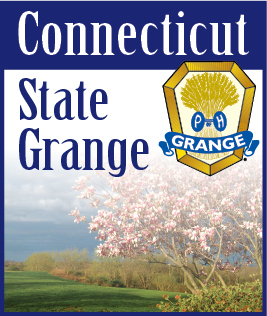 Post photos to your Grange Facebook Page (and don’t forget the captions). Don’t wait for the media to contact you - take the initiative and follow-up. Be engaged full circle. Set aside time for your Grange public relations efforts. As the old saying goes - the more you put in the more you take out. To promote your Grange consistently, it does take effort and dedication, and if you lead a busy life, then properly promoting your Grange could become overwhelming. Scheduling and organizing your time is crucial. It could be an hour a day or three hours a week. Whatever you choose, stick to it. How do other Granges keep their momentum going? Do they schedule their events in such a way that they are frequently mentioned in the newspaper? Are they consistently updating their Facebook Page? It is important to make connections with Granges who have mastered the art of momentum - and observe and learn. Don’t let jealousy of other Granges’ successes cloud your judgement. There is nothing wrong with healthy competition. Be happy for what they achieve, then work to make success a reality for your Grange.